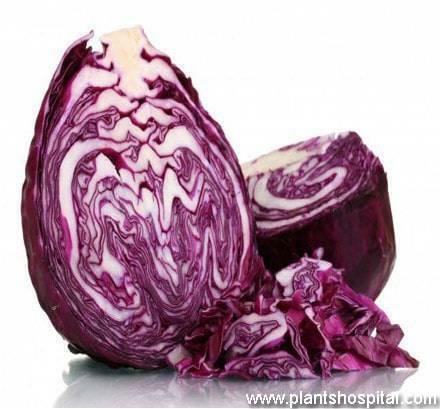 Purple cabbage are extremely healthy and delicious. Salads and pickled are among foods indispensable in addition to meals. The evening meals were very uninspired, without any salads or pickled, very unpleasant. What is Pickled Purple Cabbage? These delicious, healing salads and pickled purple cabbage always add to taste food. Moreover, you can prepare these salads or pickled purple cabbage in a very short time, practically. When you set up a pickle you can drink a lot of food after waiting in a cool place for a week. It takes a short while to prepare salads. Moreover, these salads and pickled purple cabbage are very useful and healing. These delicious pickled and salads can also be found to prevent and cure diseases. For example, low blood pressure patients can increase their blood pressure by consuming pickled and regain their health. But high blood pressure patients should not consume too much pickled. Pickled Purple Cabbage are among pickled that are consumed by loving and healing. Construction and preparation is also very simple and practical. So how is this delicious and healing Pickle Recipe, How is it done and how is it done? What are ingredients of this practical pickled? How to Make Pickled Purple Cabbage? Vinegar will come to half of jar. Drinking water until half of jar. First, purple cabbage is washed well and skins on outside are cleaned. After cleaning, cut into small pieces on a wooden spoon. After being chopped, rub 1 tablespoon of rock salt on a large plate. In this case, cabbage begins to soften. Pickles to be installed in jar rubbed and softened cabbage filled. If you want to put carrots, cut carrots in small pieces and put them between cabbage. Place garlic in between cabbage. Mix 2 tablespoons of lemon juice in a bowl and mix enough grapes or apple cider vinegar and drinking water to fit size of your jar. Pour mixture of vinegar, lemon and drinking water into jar over sprouts. Tightly close lid of jar. A week is cool and, if possible, stored in a dark place prepared purple cabbage pickles. This delicious pickle can be consumed at end of a week. It’s so easy to prepare this delicious pickle for job. You can also consume with a lot of joy by preparing pickles that are so practical and easy. At dinner, you can serve this delicious pickle when come your guests. Besides meals, is a pickle to be consumed with a great appetite. In addition, low blood pressure patients consumed this delicious pickle may return to normal blood pressure. But high blood pressure patients, that is, patients should avoid consuming pickles. Because pickle is salty, causes blood pressure to rise even further. This can be dangerous in terms of health. If you do not have above mentioned discomfort, you can apply pickled purple cabbage recipe and consume with a great deal of joy.